The perfect keto lunch or keto snack! 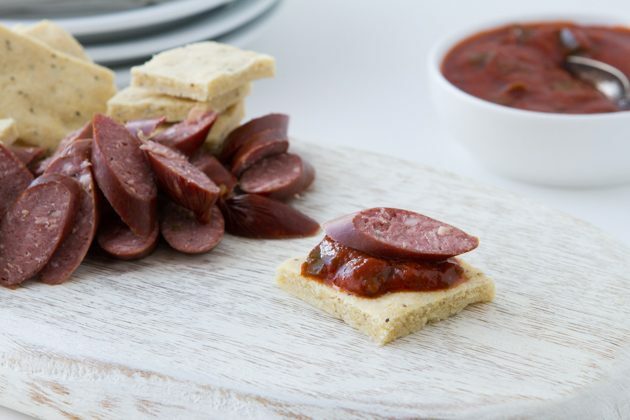 4-ingredient quick-cook almond flour keto crackers smothered in high-fat tomato sauce and topped with a sliced paleovalley grass-fed beef stick. This week’s NEW recipe is a winner. Wait, do I say that every week? Only the best for YOU! But for real… if you’re looking for a quick and easy keto snack or keto lunch that you can make over and over, and never get sick of, this is it. Of course, it relies on you having to love pizza. I hope that’s not a problem? 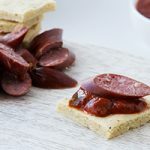 I created this recipe in October on the Oregon coast when a craving for paleovalley grass-fed beef sticks and crackers came a calling. I’d never combined the two before, and not having any keto crackers on hand, had to get a little creative. Turns out, it’s easier than I thought to make a keto cracker recipe! Because paleovalley grass-fed beef sticks are fermented, it’s best to keep them in their current state meaning, don’t cook them if you don’t have to! When you do, some of the probiotics (each stick has 1 billion CFUs of probiotics) will diminish. 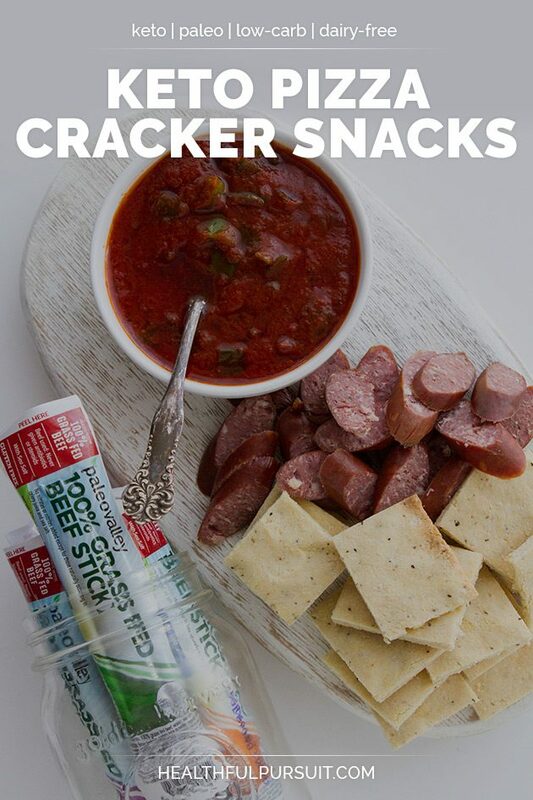 If you decide to give this recipe a whirl, and you’re looking for a grass-fed, probiotic-rich, gut healing pepperoni stick to go alongside, you have to try paleovalley. 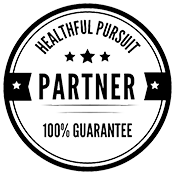 My friends at paleovalley offer EVERY SINGLE Healthful Pursuit reader 20% off their orders, no questions asked. 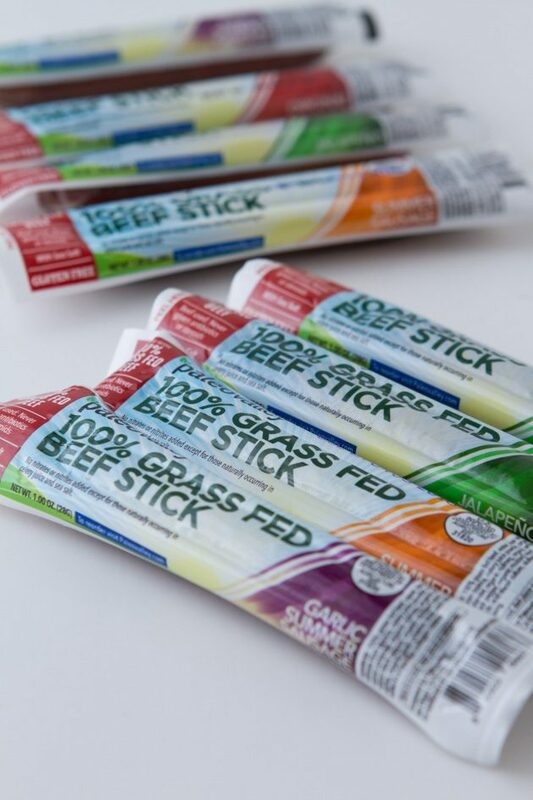 You can load up on as much paleovalley grass-fed beef sticks as you want and get 20% off your order when you click here. Love pizza? Let’s make a KETO SNACK out of it! The perfect keto lunch or keto snack! 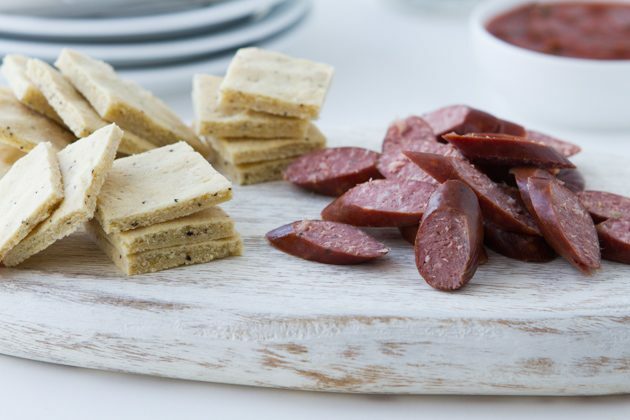 4-ingredient quick-cook almond flour keto crackers smothered in high-fat pizza sauce and topped with a sliced paleovalley grass-fed beef stick. Preheat oven to 325°F (163°C). To make the crackers, combine the almond flour, egg, salt, and pepper in a medium sized bowl. Knead with your hands to combine thoroughly. Transfer to an 8 by 8-inch (20cm) parchment paper line baking pan with the paper draped from all sides. Transfer to preheated oven and bake for 15 minutes, or until corners are just lightly golden. Meanwhile, place the bacon grease, tomato sauce, and sliced green onions in a saucepan. Cook uncovered on medium for 10 minutes. Once complete, lift the cooked cracker dough from the pan leaving on the parchment paper. Cut with a sharp knife. Serve the almond flour crackers with sauce and top each with a slice of beef stick.